1pcs LOCTITE 243 Medium Strength Threadlocker 50ml. Mixed at a ratio of 1:1, it forms a permanent bond and can be shaped, tapped, filed, sanded and drilled after curing. 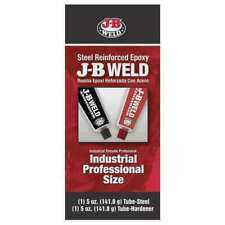 At room temperature, J-B Weld sets in 4-6 hours to a dark grey color. A full cure is reached in 15-24 hours. 0.2 ML Silver Conductive Wire Glue Paste for Electronics Trace Repair Application. Apply the silver glue / paste in the place you want. If you want it drying rapidly, blow it with a dryer for 5 - 10 minutes will be OK.
1 x Threadlocker Adhesive. Capacity: 50ml. USA, Canada, United Kingdom, Austrilia, France, Germany, Spain, Ireland, Italy, Others. Canada, United Kingdom, Austrilia, France, Germany, Spain, Ireland, Italy, Others. 1 x 243 Threadlocking Adhesive. For Thread size: M8 to M20. Capacity: 50ML, the liquid is at the half of bottle. It is proven to be tolerant of minor contamination due to industrial oils, e.g. engine oils, corrosion prevention oils and cutting fluids. Conductive paint diluent dilution ratio: =1:0.7-0.8 (weight ratio). 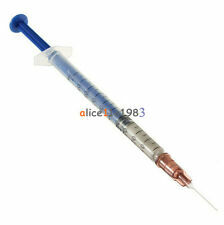 1 x Silver Conductive Paste Syringe. Apply the silver glue / paste in the place you want. If you want it drying rapidly, blow it with a hair dryer for 5 - 10 minutes will be OK.
1 x Threadlocker Adhesive. Capacity: 50ml. Used to assembly with air tools, Cylinder block bolts, ring gear bolts, transmission shaft bolts. Clear threaded surface of the oil, rust, dust, etc., and dried. 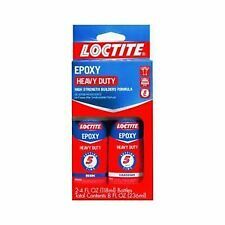 1pcs LOCTITE 638 Retaining Compound 50ml NEW. Finally, a better solution for adhering photos and detailed cut and paste projects. Excess glue rubs off cleanly, and shows no wrinkles as it dries. Acid-free, photo-safe natural rubber formula spreads easily and dries clear. Trending at C $6.01eBay determines this price through a machine-learned model of the product's sale prices within the last 90 days. 1 x Threadlocker Adhesive. Capacity: 50ML. For Thread Size: M16 to M26. Used to assembly with air tools, Cylinder block bolts, ring gear bolts, transmission shaft bolts. Strong adhesive, fast bonding. 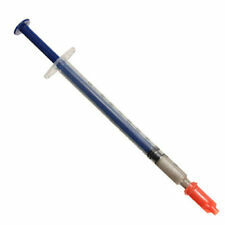 You are buying a Silver conductive glue / Paste for Electronics repair applications. 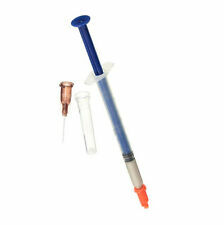 1 x Silver Conductive Paste (0.2ML). Apply the silver glue / paste in the place you want. If you want it drying rapidly, blow it with a hair dryer for 5 - 10 minutes will be OK.
1pcs 2018 new LOCTITE 222 - Threadlocker low strength 50ML. Standard Milliput is our general purpose grade - it has been used for many years for the toughest tasks. Temporary repairs for car petrol tanks, batteries, radiators and exhausts. Fast processing of my order love my new set of cutlery, really well received so quickly. LOCTTLF 271 is a general purpose threadlocker of high bond strength. This threadlocker secures and seal bolts, nuts and studs to prevent loosening due to vibration. It is proven to be tolerant of minor contamination due to industrial oils, e.g. engine oils, corrosion prevention oils and cutting fluids. 1 x Silver Conductive Paste (0.3ML). Apply the silver glue / paste in the place you want. If you want it drying rapidly, blow it with a dryer for 5 - 10 minutes will be OK. ( You can also find such dryer at our electrical tools category : ) banggood wanna bring you everything you want, really ! Description: It's widely used in home supplies, (For example refrigerator, drinking machine, electromagnetic oven and electronic kettles etc.) electrical items (For example power, inventor, relay and SCR etc.) CPU in computer, LED display, LCD display, optical fiber communication equipment, controller, heat sink and LED etc. Specificaiton: Name: Conductive Silver Paste Condition: New From Factory Paint Quantity: 2PCS Needle Quantity: 10PCS Capacity: 2ml Features: You are buying a silver conductive glue paste for electronics repair applications. It's easy to be used, just plug and play. It's great for repairing defect tracks or creating smooth jumpers on PCB board. 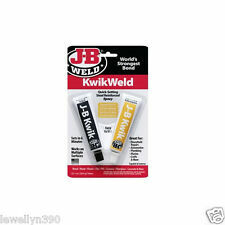 It can be used for repairing membrane switches. It's perfect for both rigid & flexible substrates. Typically used in Table Top applications. Two or more layers are often applied for added depth and protection. All storage areas and containers should conform to local fire and building codes. Ultra Clear Epoxy Resin. Super Glue Power Flex. Solvent free Except polyethylene (PE), polypropylene (PP), car glass, Styropor® and synthetic fibres. The gel’s high strength non-drip formula then dries transparent to form invisible bonds that give a long lasting durability that is both weather and shock-resistant. This threadlocker secures and seal bolts, nuts and studs to prevent loosening due to vibration. 1 x Threadlocker Adhesive. Capacity: 50ML. Size: approx. 60 30 160mm. USA, Canada, United Kingdom, Austrilia, France, Germany, Spain, Ireland, Italy, Others. They know that “Titebond” is the highest quality product that will make the work easier and more efficient. We are very proud of the experience gained and the recognition of the best woodworking professionals. FastCap's GluBot! 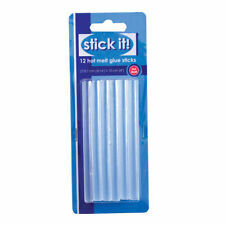 Easy to squeeze, no drips and cost saving when using with large containers of woodworking glues. Trending at C $12.01eBay determines this price through a machine-learned model of the product's sale prices within the last 90 days. Bonds to fabric, headliners, and foam. Dries in 60 minutes. Providing Quality to Professionals. Therefore, ROCKSETT is both and adhesive and a noise/vibration deepening material. HIGH TEMPERATURE ROCKSETT. Rocksett withstands oil, fuels, acids, alkalis. ROCKSETT will bond screws, shafts, keys, blinds, pipes, flanges, etc. 1pcs new Loctite 380 Black Max Instant Adhesive, Toughened 20g. Trending at C $22.73eBay determines this price through a machine-learned model of the product's sale prices within the last 90 days. 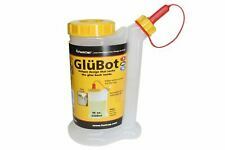 NEW Glue Loctite 518 Flange Sealant Adhesive 50ml. This threadlocker secures and seal bolts, nuts and studs to prevent loosening due to vibration. Capacity: 50ML, the liquid is at the half of bottle. 1 x 243 Threadlocking Adhesive. It is proven to be tolerant of minor contamination due to industrial oils, e.g. engine oils, corrosion prevention oils and cutting fluids. 10ML Anti-pressure Screw Locking Agent Anaerobic Glue Thread Locker Glue. Net content: About 10ML. 1Pcs Screw Locking Agent. Anti-corrosion, heat resistant, highly adhesive, anti-pressure. Suitable screw: M2-M12. 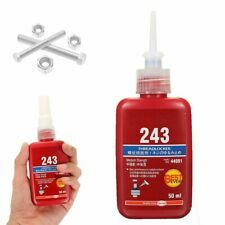 1pcs 2018 NEW LOCTITE 242 Medium Strength Threadlocker 50ml. SMART Dipper gallons are formulated to give you amazing quality and durability for a great period of time. Made of high quality ingredients this product will last and perform superior to other leading brands. Technicqll R-082 Electro Conductive Silver Glue. R-082 Silver Glue – bottle 2g. A lacquer based on high quality silver perfectly conducting an electric current. Used to repair electronic and electric circuits.